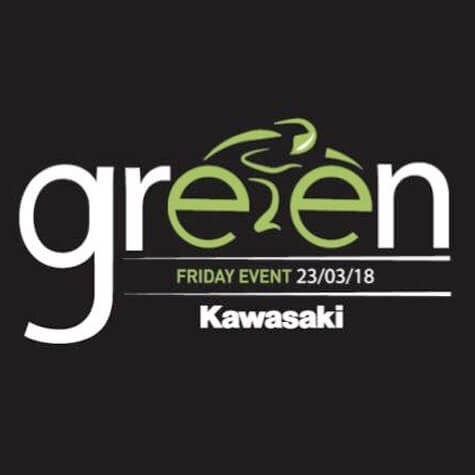 The Kawasaki Green Friday Event will be take place at Marriott Motorcycles on the 23rd March. The 2018 Kawasaki range will be on display and attendees will have the opportunity to see the new Ninja H2 SX, Z900RS Cafe, Ninja ZX-10R SE and Ninja 400 for the first time on the night. Customers who have pre-registered to attend the event will be entered into a prize draw. We have three prizes to be won and we will be selecting a winner on the evening for a pair of BSB tickets, for a round of the winners choice. Refreshments and entertainment will also be available on the evening. We are announcing the winner of the Z900RS Akashi custom paint design at the Green Friday event and the bespoke model will be on display at the winners local Kawasaki dealer. The Z900RS Akashi has been inspired by the original Z1 colours of the early 1970’s and the Akashi Works in Japan, which has developed Kawasaki motorcycles for over 50 years. To register your attendance at the Green Friday Event, simply fill in the registration form below and select Marriott Motorcycles. You can also request a test ride through this form, if you are looking to try out one of the 18MY motorcycles, and we will be in contact to arrange a suitable date and time for your test ride.